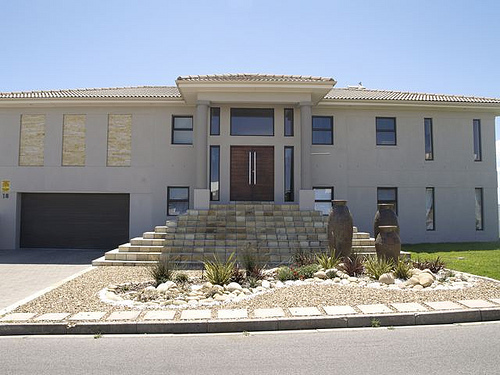 Accommodation in Yzerfontein: Gegund Luxury Self-Catering. You are here: Home / South Africa / Accommodation in Yzerfontein: Gegund Luxury Self-Catering. Set against the backdrop of this picturesque fisher’s village lays your home away from home. For the discerning traveller this is a self-catering experience which will leave you wanting more of this wonderful quiet town called Yzerfontein. Gegund consists of two units: The Luxury Suite and the smaller but just as elegant Classic Suite. Both units have a sliding door opening up onto the veranda where braai facilities are provided. Safe parking is provided on the premises. The Luxury Suite sleeps up to four people. It has two bedrooms, the Deluxe Room and the Standard Room. The Deluxe Room has a King-XL bed covered with fresh white luxurious cotton percale linens. Thick white organic towels are provided. For your convenience the room has a hairdryer. The sliding door opens up onto the beautiful veranda and garden. 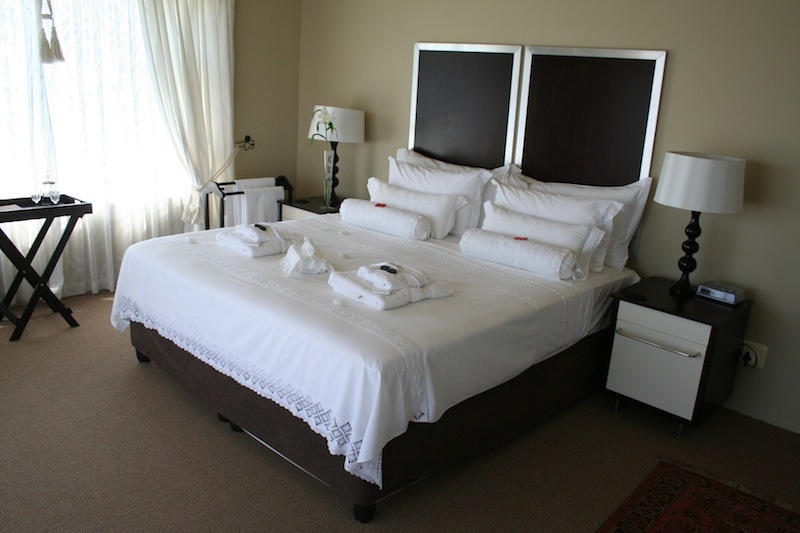 The Classic Suite has one bedroom containing a double bed covered in fresh white luxurious cotton percale linens. Thick white organic towels are provided. For your convenience the room has a hairdryer. The bathroom has a toilet, basin, bath and shower. All amenities along with thick white organic towels are provided. The open-plan kitchenette is fully equipped with a refrigerator, stove, microwave and kettle. All kitchen utensils, cutlery and crockery are provided. The living space consists of leather couches and a television set which also has PVR satellite television. This unit is somewhat smaller than the Luxury Suite, but in functionality and look-and-feel it is identical. A little about Yzerfontein: Yzerfontein has a rich history and this is still imprinted in the town as it stands today. Various activities and tourist attractions are available. Yzerfontein is a favourite for visitors such as surfers and birdwatchers. During the warm summer season this town is graced by some other majestic visitors, the giants of the sea, the whales. If you have a love for fresh seafood then Yzerfontein is just the place for you. Since Yzerfontein came into being it has been primarily a fisher’s village and the catching of snoek is also one of the main sources of income for many fishermen. Most restaurants in Yzerfontein are walking distance from Gegund, but if you feel like taking a drive there are some very exquisite restaurants in and around Yzerfontein, from fine dining to more relaxed light lunches. For the connoisseur, Yzerfontein is surrounded by wine farms and an olive farm. Yzerfontein is only a couple of minutes’ drive away from Darling where the famous wild flower festival is being held. Your hosts have gone through great lengths to make your stay as comfortable as possible. Gegund is looking forward to welcoming you. COME AND VISIT US AND EXPERIENCE WEST COAST HOSPITALITY AT ITS BEST. 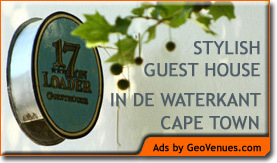 For great guest house accommodation in Cape Town – stay at 17 on Loader Guest House, situated in the historic "de Waterkant Village"